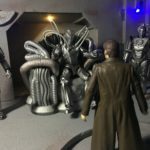 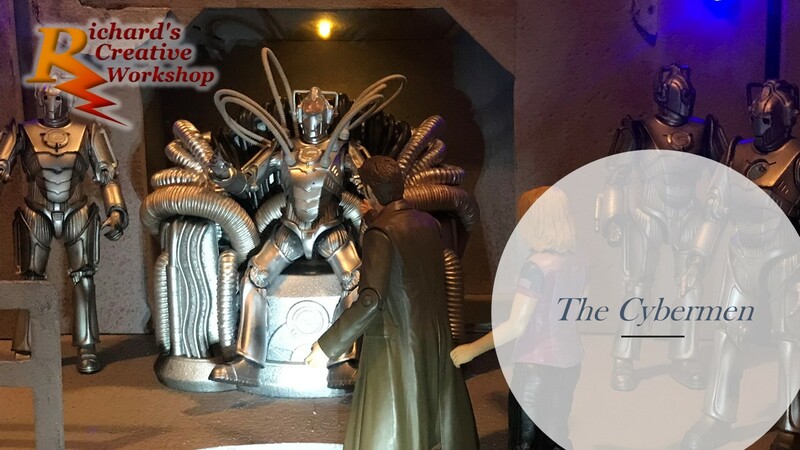 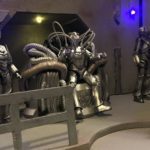 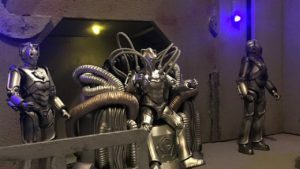 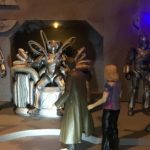 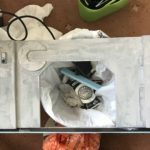 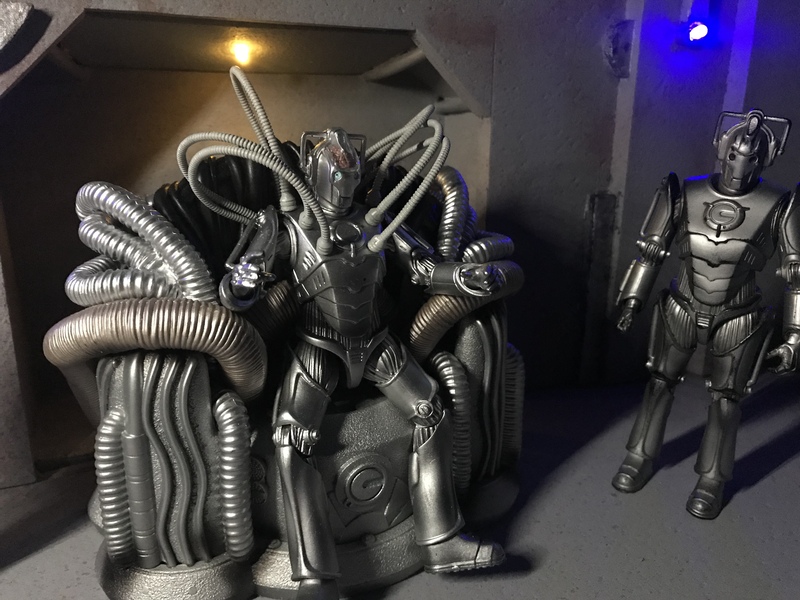 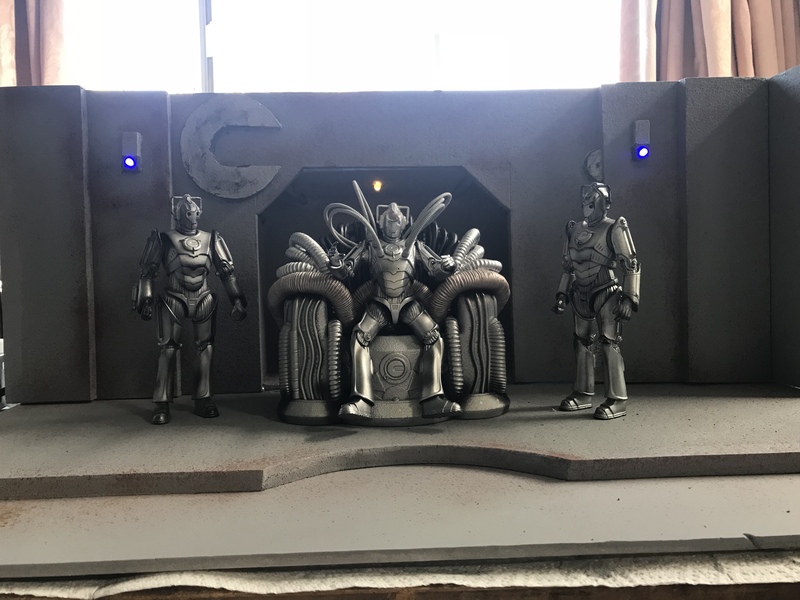 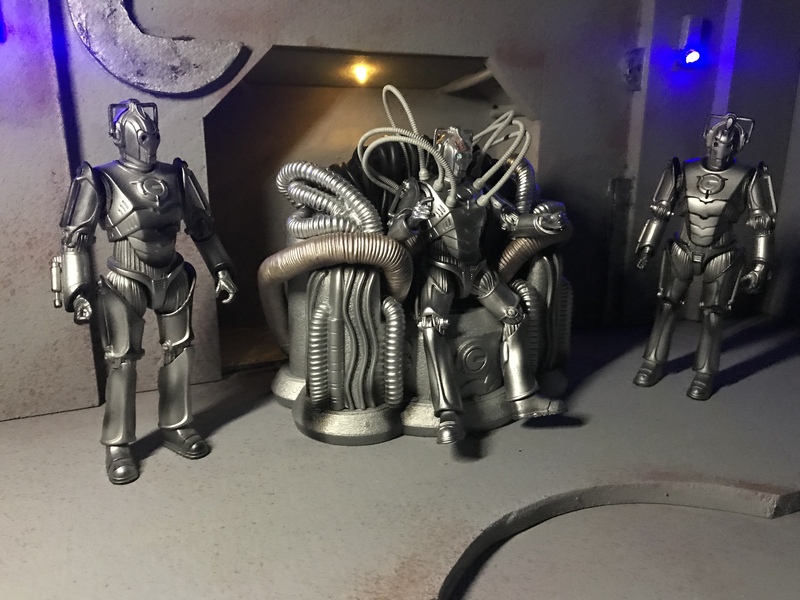 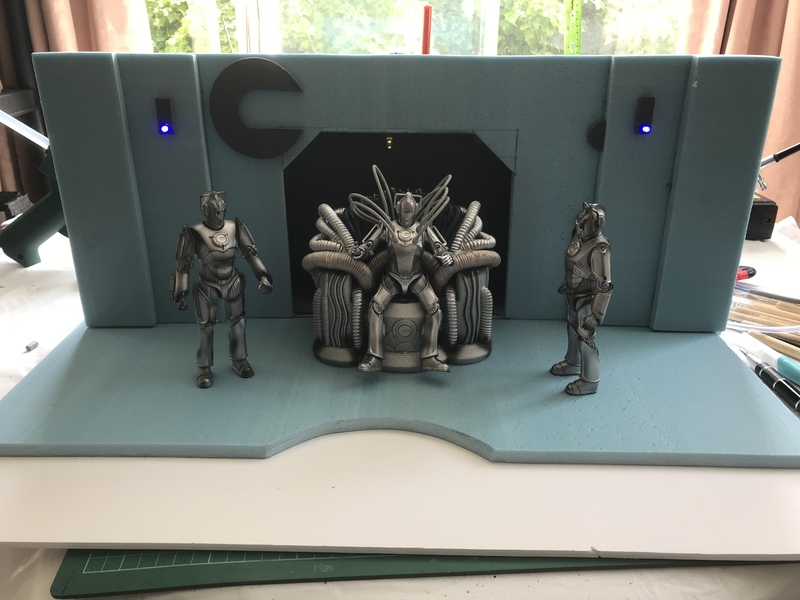 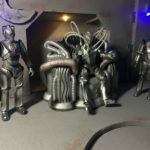 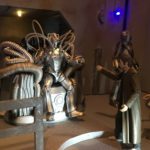 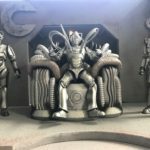 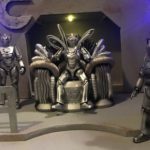 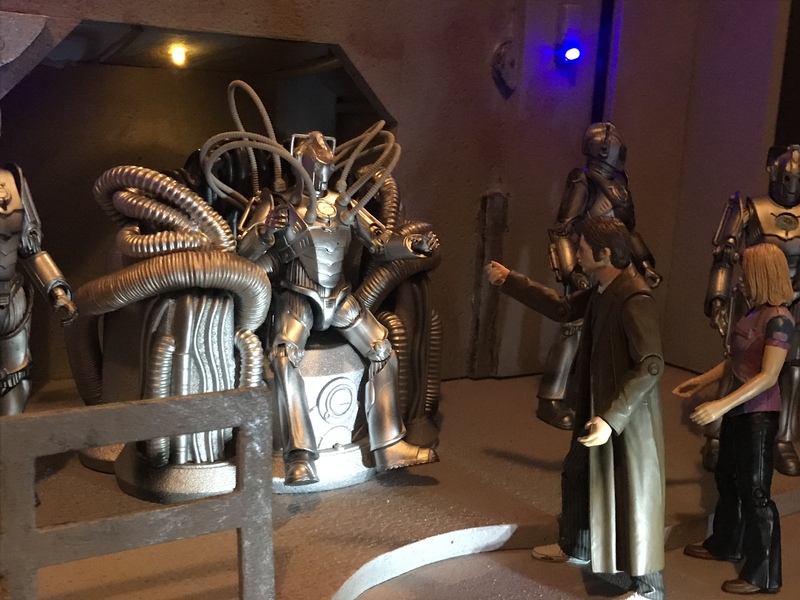 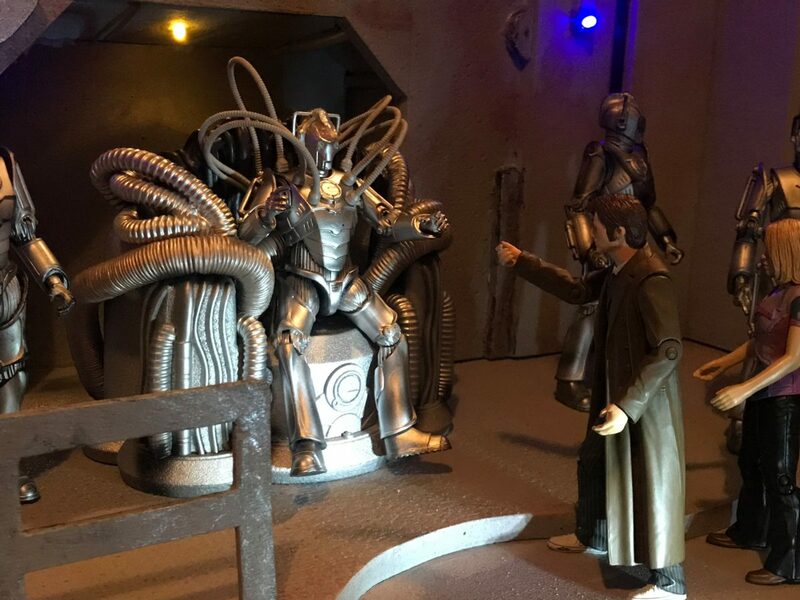 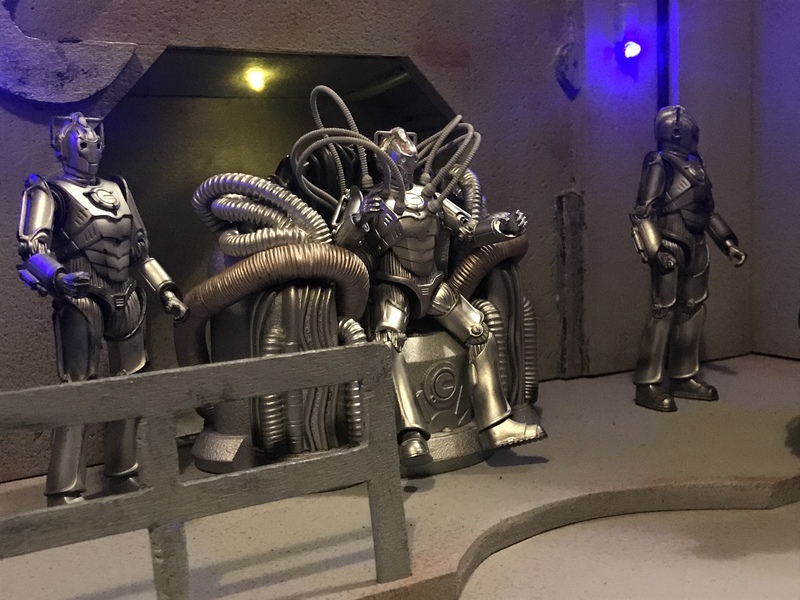 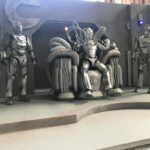 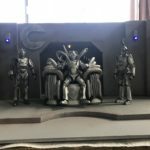 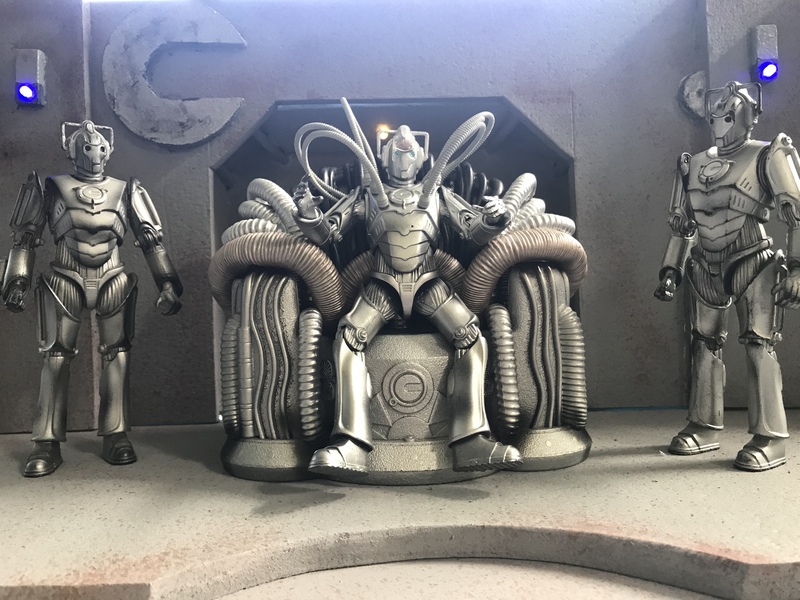 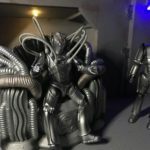 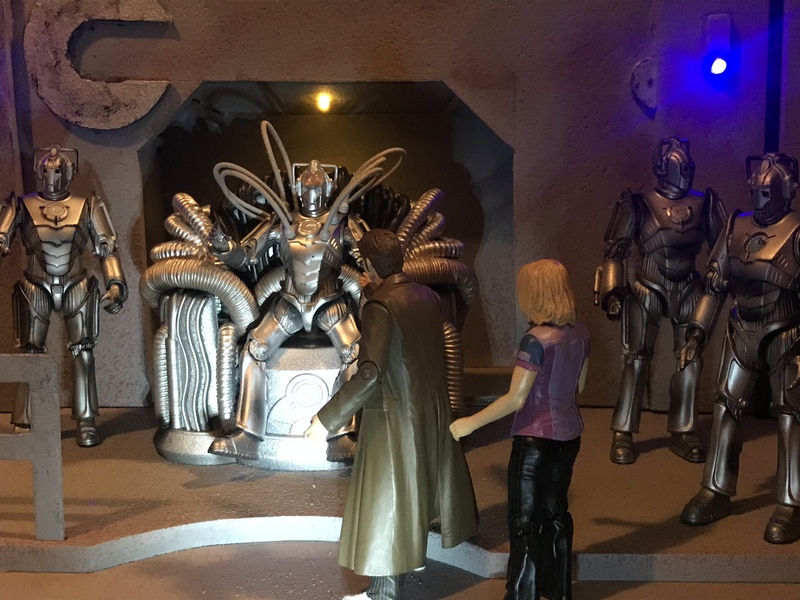 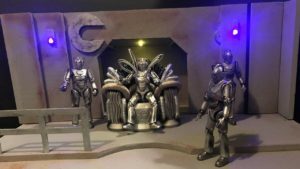 After the completion of my last diorama The Lair of the Daleks, I wanted to do another Dr Who based diorama. 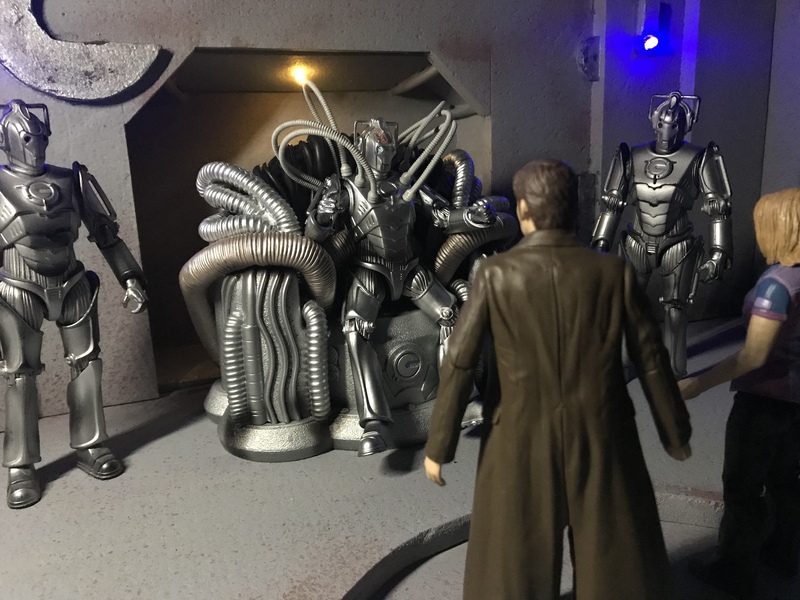 For this piece I wanted to re-create the scene in “The Age of Steel”, where the Cyber Controller (Lumic) makes his first appearance as the Cyber Controller. 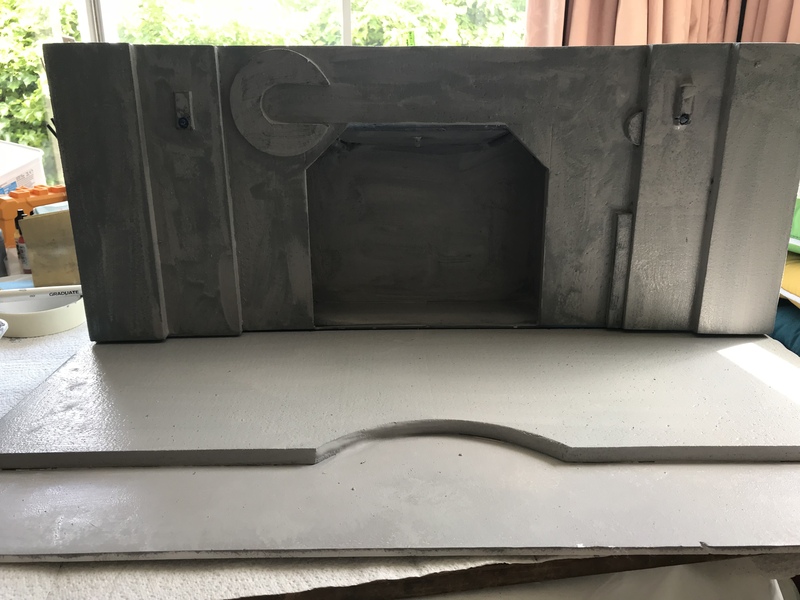 This is going to be a simple two piece diorama, consisting of a back wall, an alcove and floor. 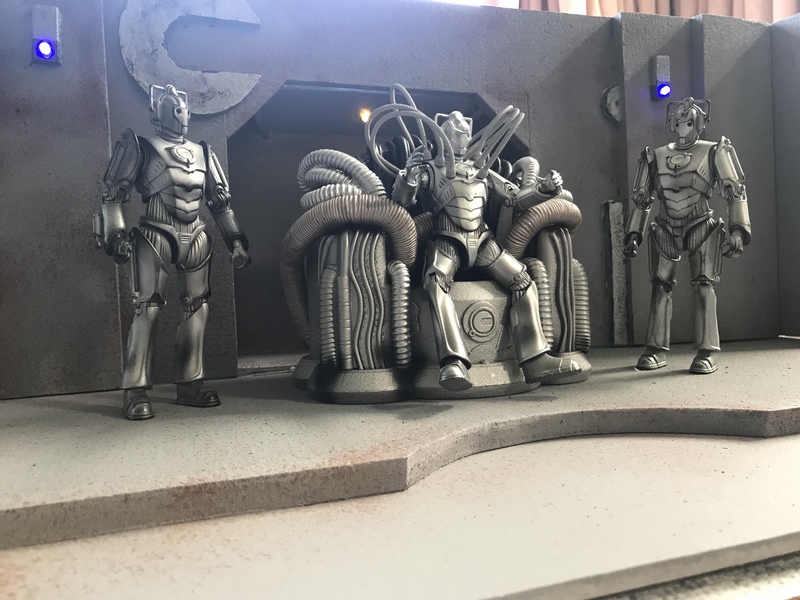 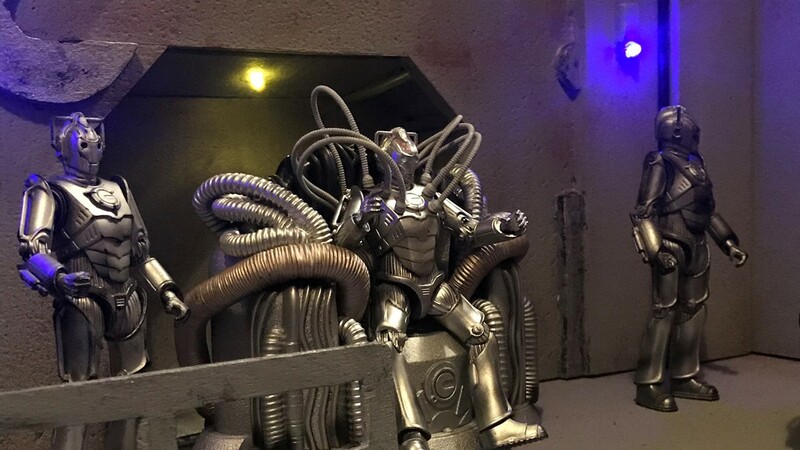 Where the main focus will be on the Cyber Controller in his chair. 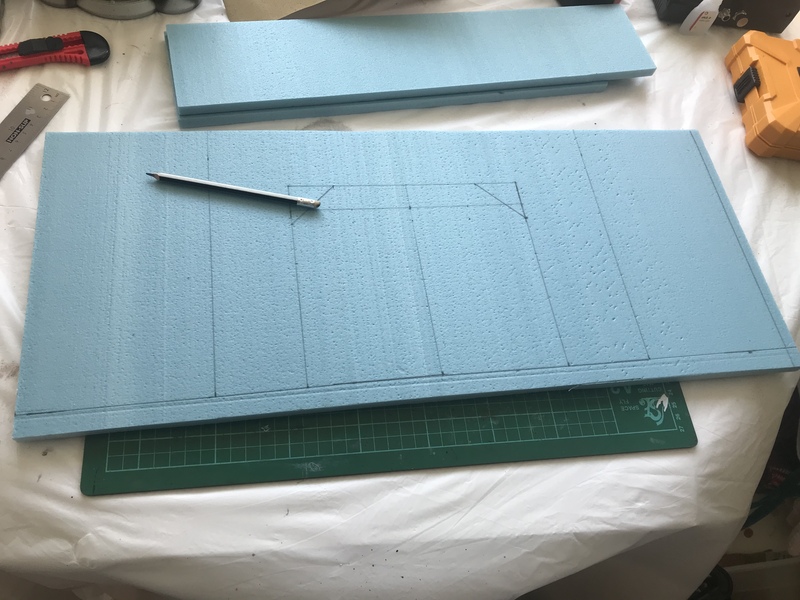 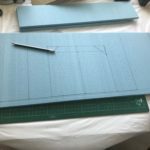 Two lengths of 10 mm insulation board were cut, one to be used as the back while the other would be the first layer of the base. 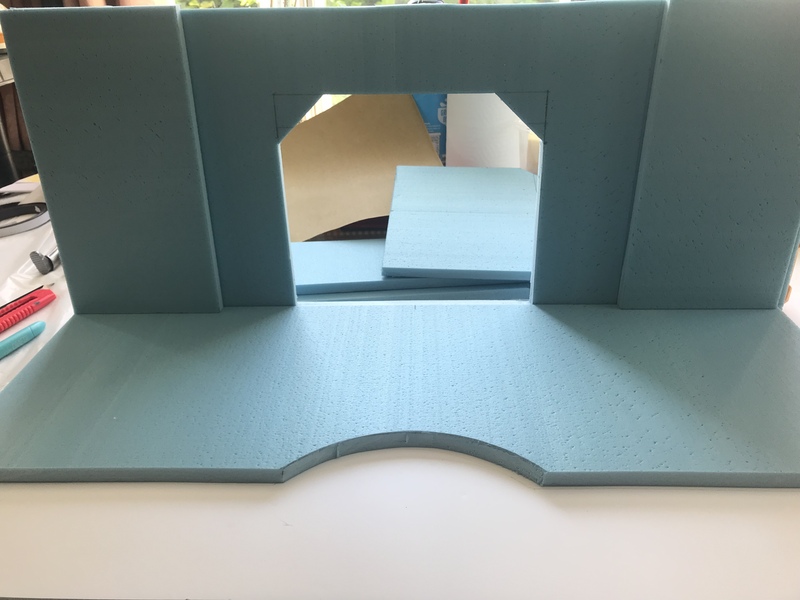 A piece of 6 mm foam board card was cut and glued to the 10 mm foam board base. 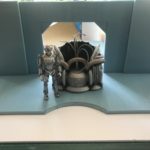 A semicircle was cut out of the 10 mm base like in the episode. 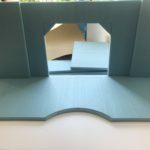 In the back wall a rear door was cut and four strips of foam board were cut and glued to the rear wall. Using the black 6 mm foam board, a black ‘C’ was carved, a small semicircle, a long thin rectangle and a couple smaller rectangles were cut and glued onto the back wall as light fittings, door hinges and as a logo. 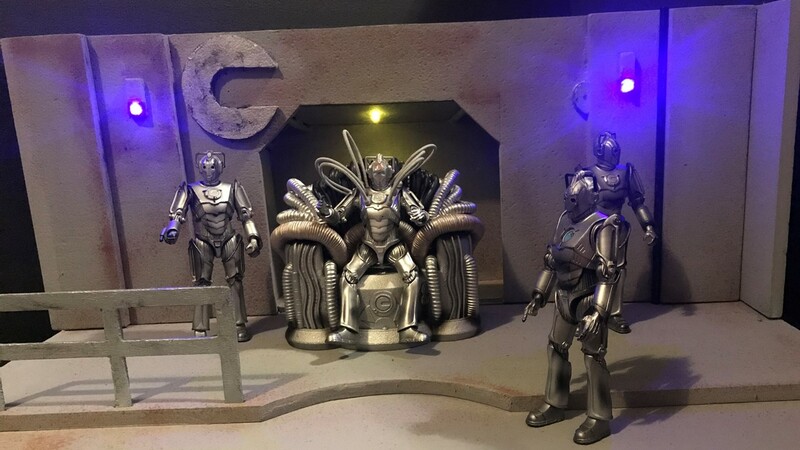 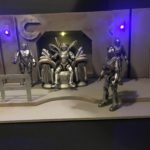 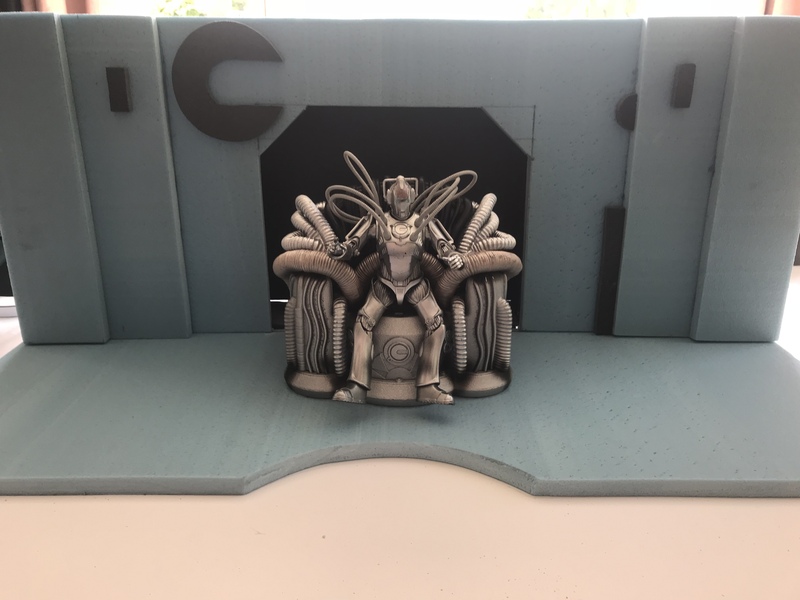 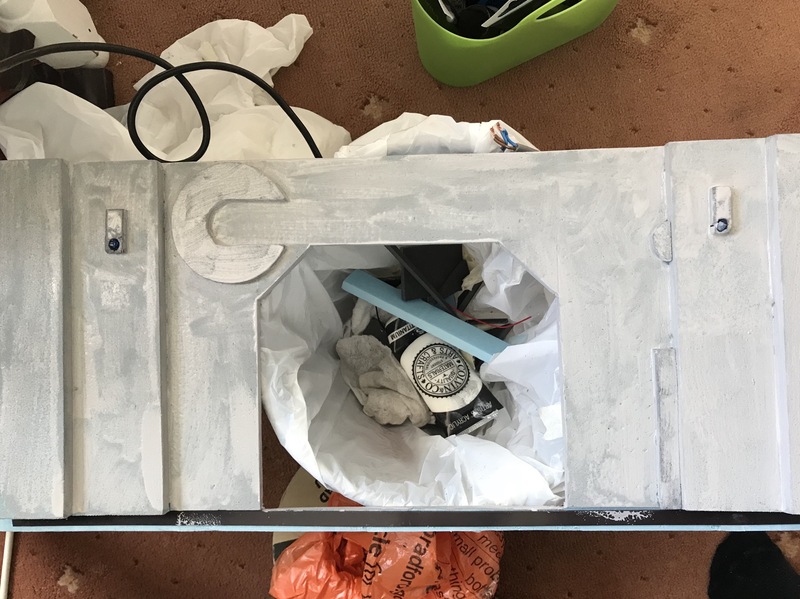 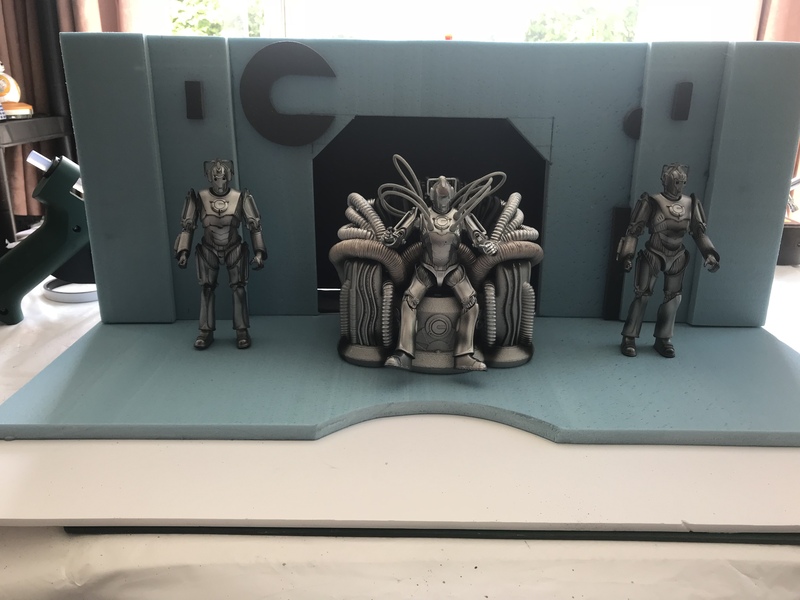 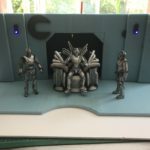 Instead of creating the back entrance corridor where Lumic makes his debut entrance as the Cyber Controller, I turned it into a alcove to represent this. 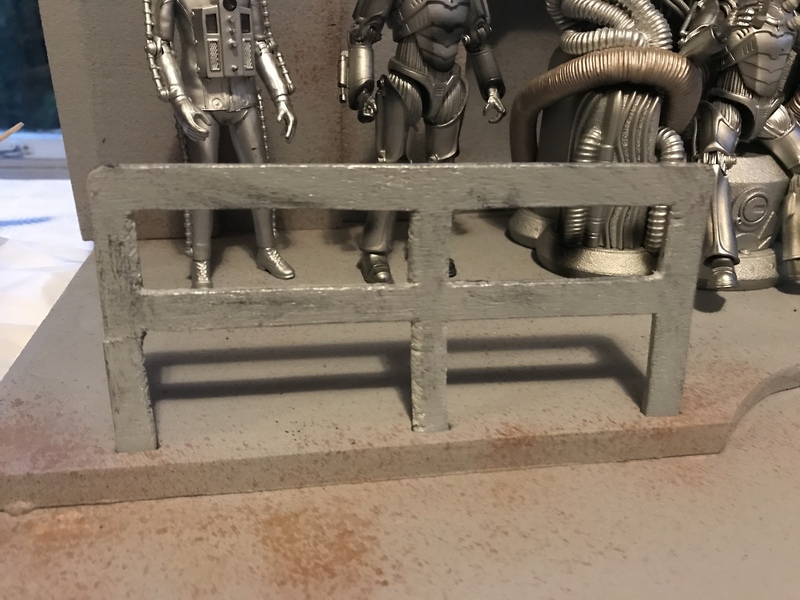 Four small pipes where added to roof of the alcove as well. 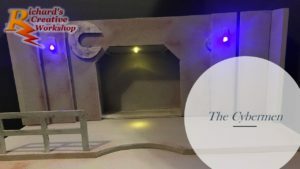 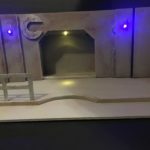 With this being a quick little build I wanted to add a couple of LEDs to the back wall as the same as the episode. 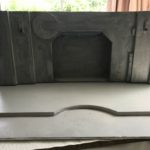 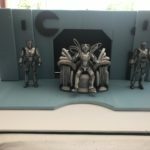 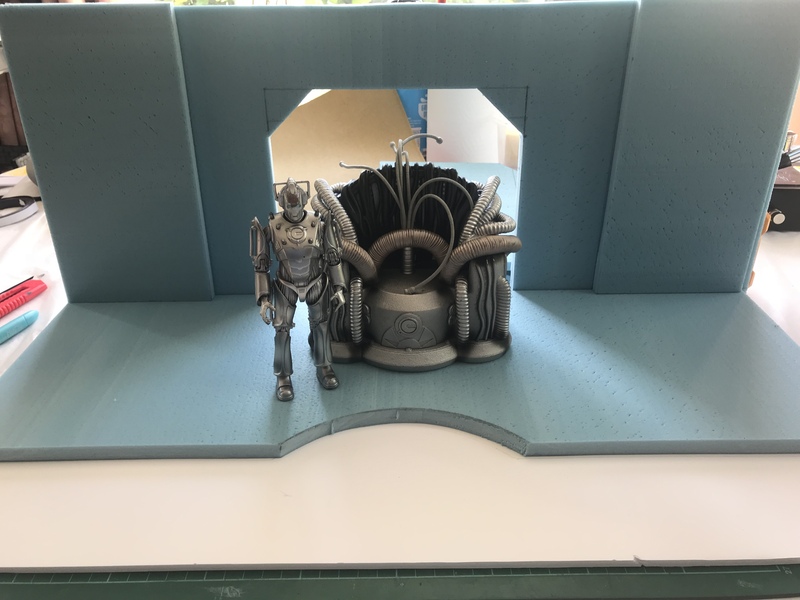 With build work completed, it is time to start painting this diorama. An acrylic mix of black/white/Burnt Umber, watered down with water was sponged across the entire set. 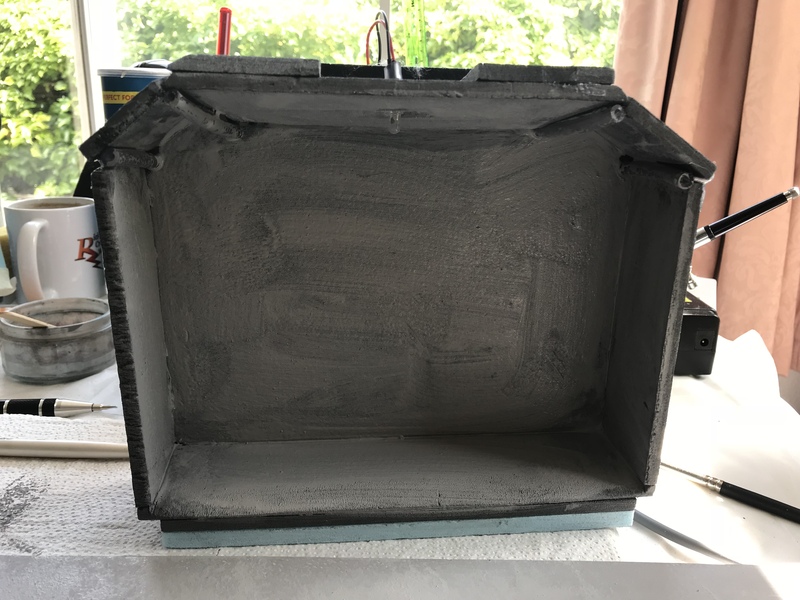 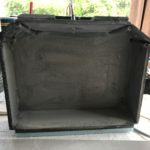 When this dried, another coat was applied. 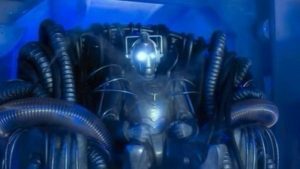 Once this had dried, a coat of silver was applied to the ‘C’, the door lock, the floor of the alcove and the four pipes within. 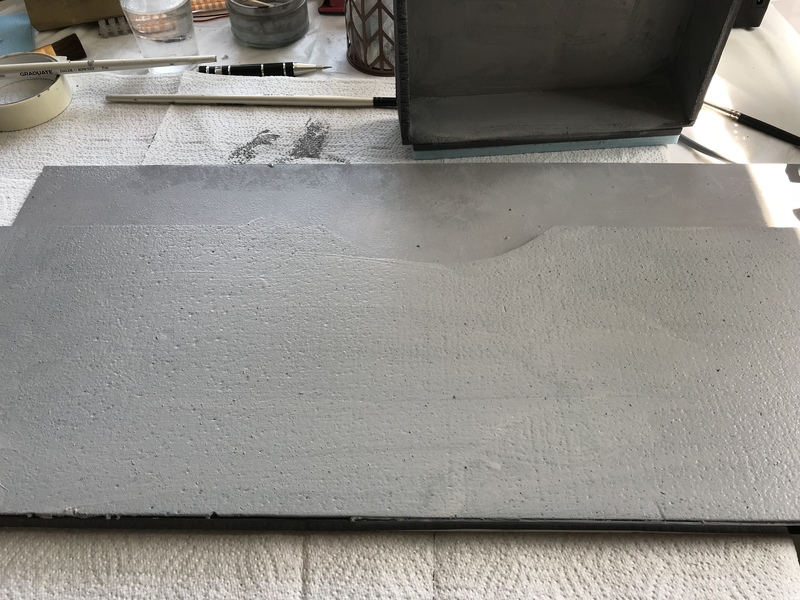 I took my airbrush with a yellow/brown mix and weathered the entire piece. 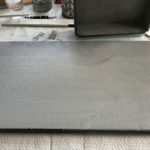 Taking a piece of bolsa wood, I shaped it into what I wanted, sanded it down then painted light grey. 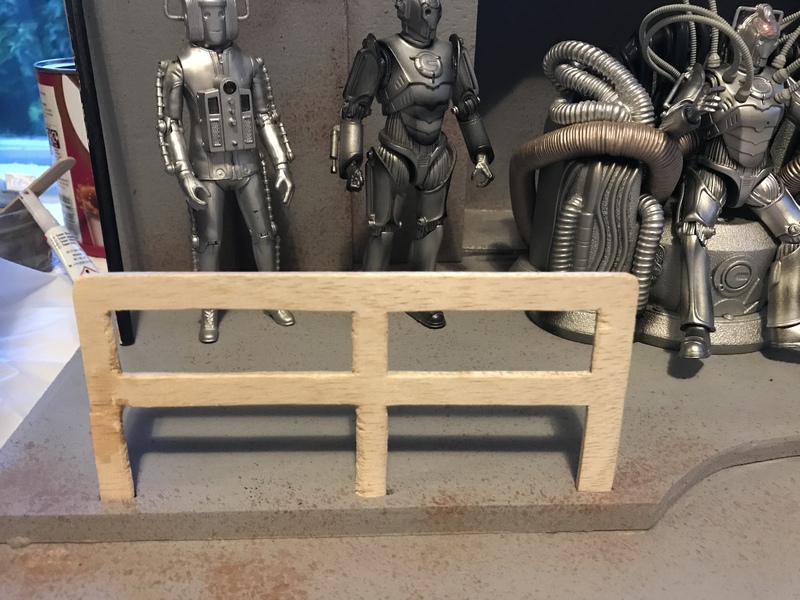 Dry brushed it with silver and a little black, cut a couple slots on the base for it to slot into. With the hand rail in place, this piece is now completed.